As part of $120 million worth of ongoing renovations to Terminal C at Newark Liberty Airport (EWR), United passengers can now pay for on-site food and merchandise with their MileagePlus miles rather than cash. To facilitate this new process, the high-traffic terminal is providing public use iPads at various seating areas that enable MileagePlus fliers to scan their boarding passes or enter their frequent flyer numbers, access their United MileagePlus accounts, view the costs of food and merchandise in both dollars and miles, and place orders at restaurants and shops, or for delivery at the gate within 15 minutes. 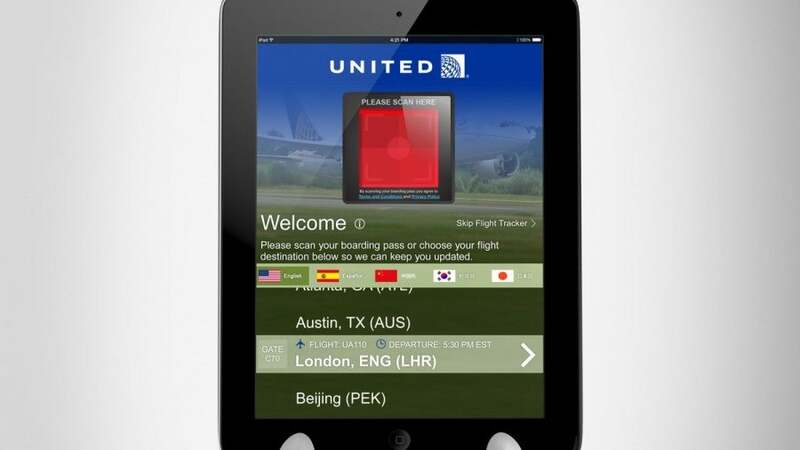 Public iPads in Newark’s Terminal C now allow MileagePlus members to scan their boarding passes, check their mileage accounts, and make purchases in the terminal with miles or cash. 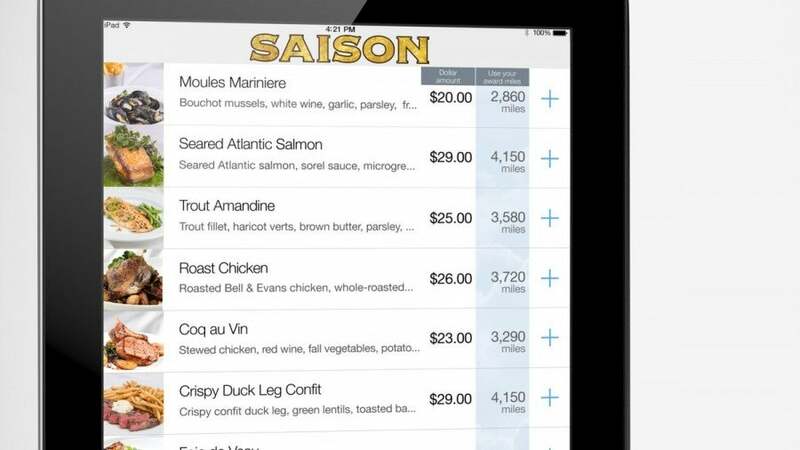 A few of Terminal C’s restaurants and shops began accepting miles as payment last Thursday, and over the next seven weeks, 45 new collaborating venues will be introduced (including restaurants from star chefs like Paul Liebrandt and Mario Carbone), and more than 1,000 iPads will be available for public use at seats in the terminal. The entire renovation process — which will eventually include all-new seating areas, a total of 55 restaurants, and up to 6,000 iPads — is slated for completion in May of 2016. These renovations are being overseen by terminal owner OTM Management, Inc., which has already installed iPads in its terminal projects at New York LaGuardia (LGA) and JFK, Minneapolis-St. Paul (MSP), and Toronto Pearson (YYZ). USA Today published a story on OTM Management and United’s collaborative miles-for-cash innovation at Newark, in which I pointed out that there likely aren’t enough flights to accommodate all of United’s outstanding miles waiting to be redeemed, so at some point either the miles have to devalue or the options to use them have to increase. This redemption option might be a bit of both, since you’re probably going to get poor value. If you find yourself in Terminal C at Newark with some MileagePlus miles to burn, I encourage you to run the numbers before you order. United’s iPad technology in EWR’s Terminal C allows MileagePlus members to see how much food and goods cost in both cash and miles. According to the USA Today article, a Fiji water at Terminal C presently costs either $2.99 or 430 miles, while trout amandine at Alain Ducasse’s restaurant Saison costs $25 or 3,580 miles. These work out to about 0.7 cents per mile in value. In my monthly points and miles valuations for October, I list United miles at 1.5 cents apiece, so you’re only getting about half of what you should out of those redemptions. I’ll certainly be keeping an eye on this miles-for-service trend to see if the rate of return improves, and whether it spreads to other airlines and airports. If nothing else, it could be an easy way to keep frequent flyer accounts active by buying a coffee or some other inexpensive item. Would you use your miles to make in-terminal purchases at an airport – or have you done so already?